Developed in 2015 by First Community Housing, 1585 Studios offers 26 affordable studio apartments for rent to people with developmental and other disabilities. Households of one or two people can live in a studio apartment. Each studio apartment includes a private bathroom and a kitchen area. The property is located on transit-oriented El Camino Real in Mountain View, and Housing Choices’ residents receive free Valley Transit Authority Eco-Passes to use public transit throughout Santa Clara County. 1585 Studios is designed for Leadership in Energy and Environmental Design gold certification by the U.S. Green Building Council. The three-story property includes a community room, meeting room, and outdoor patio area. Sixteen of the studio apartments are affordable to households with incomes up to 30% of Area Median Income, and ten are affordable to households with incomes up to 50% of Area Median Income. Developed by First Community Housing in 2009, Casa Feliz Studios offers 60 affordable studio apartments, of which 21 have been set aside for rent to people with developmental and other disabilities. Households of one or two people can occupy these studio apartments. Located in San Jose near the San Jose State campus, Casa Feliz Studios is a four-story building with parking below. The property offers many amenities and common areas, and each apartment includes a private bathroom and a kitchen area. Casa Feliz Studios is a USBG Leed Platinum Certified Building and received the Governor’s Environmental and Economic Leadership Award for Sustainable Facilities in 2010. Housing Choices’ residents currently pay a monthly rent of $347 and receive a Valley Transit Authority Eco Pass for free public transit throughout Santa Clara County. Developed by Eden Housing, Edenvale Supportive Housing is a HUD 811 property with fourteen one- and two-bedroom apartments for people with developmental and other disabilities. Edenvale is part of the larger Eden Housing family rental housing property, called Eden Palms, and has excellent light rail and bus connections. Edenvale residents enjoy a community room and other amenities. Residents of Edenvale pay only 30% of their household income in rent, making it one of Housing Choices’ most affordable Partner Properties. In partnership with the City of Santa Clara and Equity Residential, Housing Choices has a set-aside commitment of twenty-three set apartments at Estancia in unit sizes ranging from one to three bedrooms. All of the Housing Choices apartments are affordable to people with incomes up to 50% of Area Median Income. Currently, Housing Choices residents pay $977 for a 1 bedroom apartment, $1093 for a 2 bedroom apartment, and $1210 for a 3 bedroom apartment. Estancia is primarily a market-rate rental property with a total of 450 apartments and many amenities, including a pool and club room. It is in an ideal location for those who use public transportation, as it is in close proximity to Lick Mill light rail station, Montague and De La Cruz bus stops, and the Santa Clara train station. In partnership with developer First Community Housing, Housing Choices has twenty-nine set-aside units at Fourth Street Apartments located in downtown San Jose. Fourth Street Apartments is a high-rise property with a total of one hundred apartments on nine floors. It is an environmentally friendly property that has been awarded the Leadership in Energy and Environmental Design platinum certification by the U.S. Green Building Council and exceeds California’s Title 24 energy efficiency standards. Amenities include a community room, a computer classroom, and an outdoor patio and playground for young children. The Housing Choices units include one-bedroom, two bedroom, and three bedroom apartments. Currently, Housing Choices residents pay $460/1 bedroom, $543/2 bedroom, and $596/3 bedroom. In partnership with First Community Housing, Housing Choices has thirteen set aside units at Gish Apartments, a property with a total of thirty-five apartments. Gish has received national and local recognition for its environmentally conscious design. Gish has been deemed one of the top ten examples of sustainable architecture by the American Institute of Architects and its Committee on the Environment as well as Best Green Project from “Affordable Housing Finance Magazine”. Additionally, Gish was the recipient of the National Association of Housing and Redevelopment Officials’ Award of Excellence. In 2008, Gish became the only affordable housing property to receive the Leadership in Energy and Environmental Design Gold Certification for both Homes and New Construction to date. Housing Choices residents currently pay $376/studio, $469/2 bedroom, and $536/3 bedroom. Additionally, residents of Gish receive a VTA Eco Pass which provides them with free public transit throughout Santa Clara County. 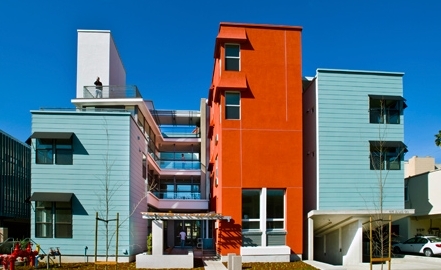 In collaboration with developer First Community Housing, Housing Choices has 10 set aside units at Japantown Senior Apartments for people with developmental and other disabilities who are fifty-five years of age or older. Japantown is a diverse and walkable neighborhood in downtown San Jose, near many community services. 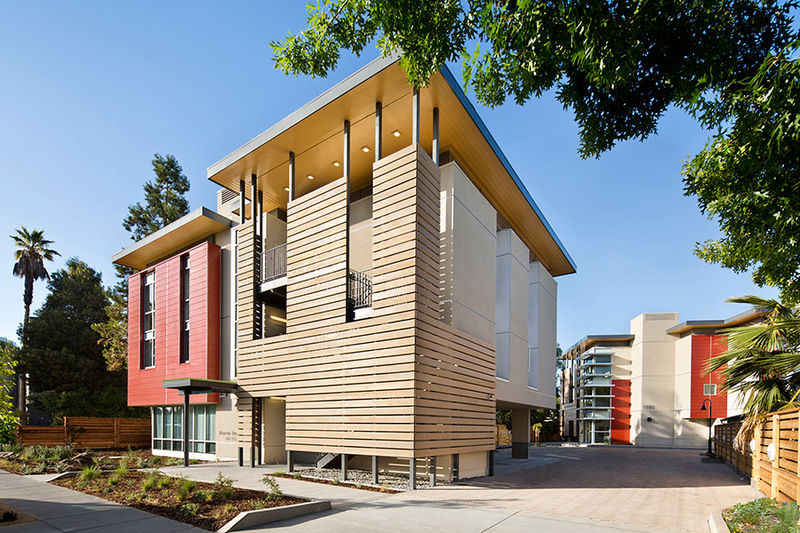 Designed by award winning affordable housing architects, OJK Architecture and Planning, Japantown received the Leadership in Energy and Environmental Design platinum certification from the U.S. Green Building Council’s LEED for Homes Midrise program. Rents at Housing Choices set-aside units are affordable to people with incomes up to 30% of Area Median Income, with some affordable to people with incomes up to 40% of Area Median Income. Residents of Japantown receive a VTA Eco Pass which provides them with unlimited bus and light rail use throughout the county with no charge. In partnership with Eden Housing, Housing Choices has nineteen set aside apartments at Monterey Villa located in San Jose near Monterey Highway. Monterey Villa is a HUD 811 property, and the building is part of Eden Housing’s larger Monterey Family Apartments property. Monterey Villa features energy efficient lighting, low VOC paint, Energy Star appliances, and low-flow kitchen faucets. Currently, Housing Choices residents pay 30% of their income for 1 or 2 bedroom apartments. Monterey Villa is pending a gold certification from the Leadership in Energy and Environmental Design. In collaboration with The Housing Authority of Santa Clara County, Housing Choices has a set aside commitment of eighteen units at Rivertown Family Apartments, which is a 100-unit family housing community. Housing Choices residents currently pay $289/2 bedroom and $1491/3 bedroom. Rivertown is a family oriented property with a large community room and a playground for young children. It is in an ideal location for those who use public transportation, as it is in close proximity to Lick Mill light rail station, Montague and De La Cruz bus stops, and the Santa Clara train station. In collaboration with Charities Housing, Housing Choices supports residents of seven studio apartments at San Antonio Place which is close to downtown Mountain View and near shopping and many other community services. Housing Choices residents have Project-Based Vouchers and pay 30% of their household income as rent. San Antonio Place is conveniently located near the San Antonio Caltrain station as well as the El Camino and Maybell bus station. In partnership with Eden Housing, Housing Choices supports 20 units for people with developmental disabilities at Villa Esperanza Apartments with 1, 2, or 3 bedrooms each. In partnership with Eden Housing, Housing Choices supports residents in 12 out of 72 units at the Jasmine Square Apartments. Camden Co-Op offers shared housing for five people in a five bedroom single family house located in the Cambrian Park neighborhood of San Jose. This property is a partnership with Hope Services. Currently Housing Choices residents pay between $324-$500 in rent. Each resident rents their room in a separate lease, and the cost of utilities is divided among the residents. Through partnership with Hope Services, Housing Choices secured Briarwood Co-Op in Santa Clara. Briarwood Co-op offers shared housing for five people in a five bedroom single family home. Housing Choices residents currently pay $350/month. Each resident rents their room in a separate lease, and the cost of utilities is divided among the residents. Located in Santa Clara, De La Cruz Co-op offers shared housing in a four bedroom single family home where Housing Choices residents pay between $300-500 in rent. Each resident rents their room in a separate lease, and the cost of utilities is divided among the residents. This property is in partnership with Hope Services. In partnership with the County of Monterey and Hope Services, Housing Choices leases two single family homes in Soledad, California to households with at least one resident who has a developmental disability. One of the homes has three bedrooms and rents for $887/month. The second home has four bedrooms and rents for $803/month. In partnership with the County of Santa Cruz, Housing Choices leases and manages a 2 bedroom, 2 bath townhome in the Cabrillo Commons neighborhood of Aptos in Santa Cruz County. Two roommates with developmental and other disabilities share the home, each with a private bedroom and bath. This property is close to Cabrillo College and to shopping and services. Each roommate pays $362/month to share this townhome.